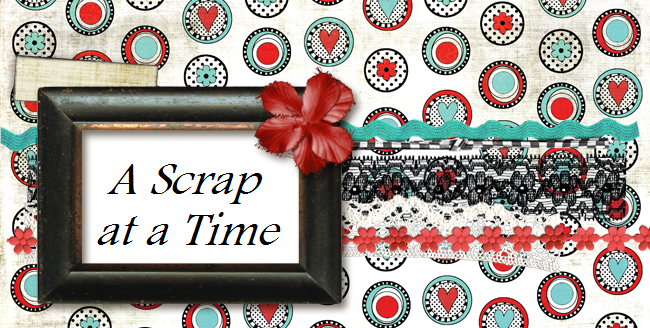 A Scrap at a Time: Any color will do! At first glance this LO would look like it belonged to a Halloween page with the bright orange and green colors, but it is Easter. Don't let holiday colors limit you. My boys certainly don't wear many pastels that would normally go along with Easter. In these photos they were hunting eggs through the woods in their play clothes and these papers seems to fit so well for the colors and motions of the photos! Great layout! Love the use of multi photos!